When I first started quilting in the mid-to-late 1990s, I tried some hand piecing. I was working at a summer camp and thought it would be a way I could keep sewing. I didn't like it and only pieced a few blocks. This is the simplest of the nine blocks for this quilt along. The piecing went faster than I expected. I'm using a fat eight bundle of Blueberry Park that was one of the Black Friday deals at Fat Quarter Shop last November. I didn't have a plan for it at the time, but I think the variety of bright colors will be lovely in this small sampler. I am going to cut the pieces for blocks two, three, and four today. Told you I was behind! Block looks great! 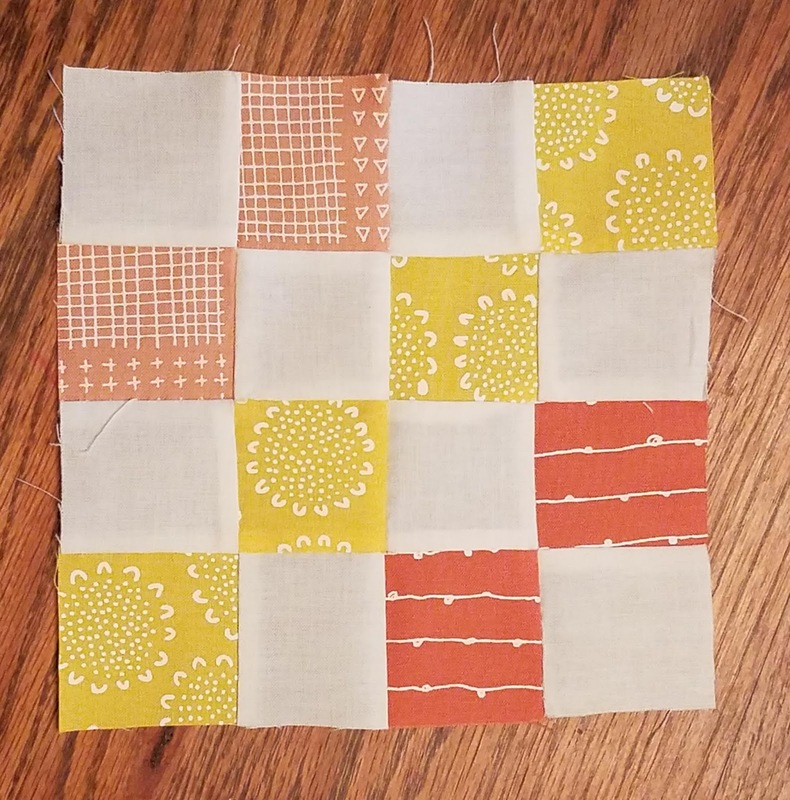 Thanks for linking up with the Hand Pieced QAL! Love the fabric. This looks like so much fun! You have me tempted to give this a try. Very pretty! I did hand stitching years ago, no desire to pick it up again. Looking forward to following your adventures in handwork. I've done my share of hand piecing. It's best point is that it is so portable!!! Your block is super cute. I like your new avatar, too--a very happy look! 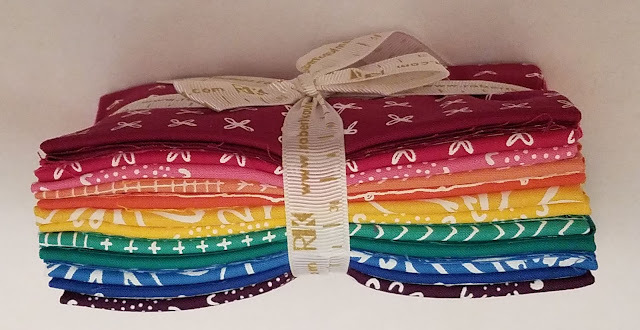 Nice block and fun fabrics too!